Home from the holidays – and hit the ground running! My apologies for the long silence. We were touring Britain and Iceland for six fabulous weeks and I’ve been trying to catch up ever since! This includes the great day I spent down the south coast of NSW at the CBCA Illawarra Literary Lunch last week: an event organised by Jane Pretty and her wonderful team to bring over 150 students together with authors, illustrators, poets – and even a fantastic rap artist! I was lucky enough to spend time with students from St Columbkille’s School – a wonderfully talented and eager group of boys and girls who asked lots of questions and also tackled their writing and drawing opportunities with great enthusiasm and skill. Well done to you all! The story was a combined effort and incorporated exciting adventures with dinosaurs and magical powers – hugely creative, and a great credit to both their school and Paula, the lovely librarian who accompanied them. 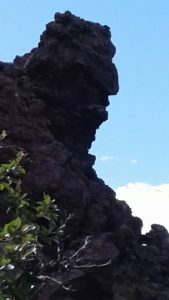 I’m now gearing up for several more talks but now that I’ve got our holiday photos organised, I’ll also be posting (and showing pix) of some of the magical, historical and beautiful places we visited during our time away – with a picture of a troll to start you off! Technology got the better of me here! 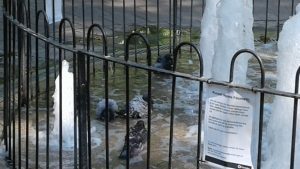 The photos were supposed to go alongside my blog, and I also planned to add a comment to the second picture which is of frantic pigeons cooling off in a fountain in a London park during the heatwave we experienced while we were there. I’ll talk more about the ‘trolls’ in Iceland in my next blog. I like this web site very much, Its a real nice berth to read and incur info. Making a ‘Get Published Podcast’ – an interesting exercise! Happy New Year Wishes for my love 2019 on HAPPY NEW YEAR – and New Year wishes! Slim 999 Official Website on Home from the holidays – and hit the ground running! persib Bandung on Home from the holidays – and hit the ground running!